Somewhat surprise for me since i did not expect this kind of film, was thinking it will be mix of Interstellar and Gravity. Turns out i was wrong, Matt Damon gave us great performance and writers really did their research, which is always appreciated by yours truly. Some science gaps did remain and i am sure you will spot them but this is nevertheless very good step direction for sf. Calculating rations and trajectories is well done, and so is scenery. The Martian is a 2015 American science fiction film directed by Ridley Scott and starring Matt Damon. 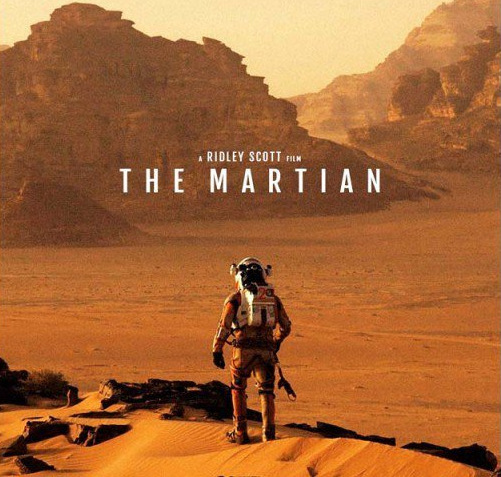 The film is based on Andy Weirs 2011 novel The Martian, which Drew Goddard adapted into a screenplay. Damon stars as an astronaut who is mistakenly presumed dead and left behind on Mars. The film depicts his struggle to survive and others efforts to rescue him. The films ensemble cast also features Jessica Chastain, Kristen Wiig, Jeff Daniels, Michael Pena, Kate Mara, Sean Bean, Sebastian Stan, Aksel Hennie, and Chiwetel Ejiofor. Definitely worth watching this little space exploration and trouble related to research and sustain life on other planets. Calculating how much potatoes that one can grow in its own crap is not something one thinks about when thinking about space research. Again with ruptured suit as propulsion?! What is up with that? Beside these few minor problems this deserves full sparot.com recommendation, must watch film.